HOW TO USE: Read the Patient Information Leaflet if available from your pharmacist before you start using this medication and each time you get a refill. If you have any questions, ask your doctor or pharmacist. Take this medication by mouth with or without food as directed by your doctor. You may take it with food or right after a meal to prevent stomach upset. If you are taking the extended-release tablets, do not crush, chew, or dissolve them. Doing so can release all of the drug at once, increasing the risk of side effects. Also, do not split extended-release tablets unless they have a score line and your doctor or pharmacist tells you to do so. Swallow the whole or split tablet without crushing or chewing. The dosage is based on your medical condition and response to treatment. Take this medication regularly to get the most benefit from it. To help you remember, take it at the same time(s) each day as directed. Follow your dosing schedule carefully. Do not increase your dose or take this medication more often or for a longer time than directed. Tell your doctor if your condition does not improve or if it worsens. What if I miss a dose of Estrace? SIDE EFFECTS: See also Warning section. Stomach upset, nausea/vomiting, bloating, breast tenderness, headache, or weight changes may occur. If any of these effects persist or worsen, tell your doctor or pharmacist promptly. Tell your doctor promptly if you see the tablet in your stool. Remember that your doctor has prescribed this medication because he or she has judged that the benefit to you is greater than the risk of side effects. Many people using this medication do not have serious side effects. Tell your doctor right away if you have any serious side effects, including: mental/mood changes (such as depression, memory loss), breast lumps, unusual vaginal bleeding (such as spotting, breakthrough bleeding, prolonged/recurrent bleeding), increased or new vaginal irritation/itching/odor/discharge, severe stomach/abdominal pain, persistent nausea/vomiting, yellowing eyes/skin, dark urine, swelling hands/ankles/feet, increased thirst/urination. This medication may rarely cause serious problems from blood clots (such as heart attacks, strokes, deep vein thrombosis, pulmonary embolism). Get medical help right away if you have any serious side effects, including: chest/jaw/left arm pain, unusual sweating, sudden/severe headache, weakness on one side of the body, confusion, slurred speech, sudden vision changes (such as partial/complete blindness), pain/redness/swelling of legs, tingling/weakness/numbness in the arms/legs, trouble breathing, coughing up blood, sudden dizziness/fainting. A very serious allergic reaction to this product is rare. However, get medical help right away if you notice any symptoms of a serious allergic reaction, including: rash, itching/swelling (especially of the face/tongue/throat), severe dizziness, trouble breathing. This is not a complete list of possible side effects. If you notice other effects not listed above, contact your doctor or pharmacist. In the US - Call your doctor for medical advice about side effects. You may report side effects to FDA at 1-800-FDA-1088 or at www.fda.gov/medwatch. In Canada - Call your doctor for medical advice about side effects. You may report side effects to Health Canada at 1-866-234-2345. DRUG INTERACTIONS: Drug interactions may change how your medications work or increase your risk for serious side effects. This document does not contain all possible drug interactions. Keep a list of all the products you use (including prescription/nonprescription drugs and herbal products) and share it with your doctor and pharmacist. Do not start, stop, or change the dosage of any medicines without your doctor's approval. Some products that may interact with this drug include: aromatase inhibitors (such as anastrozole, exemestane, letrozole), fulvestrant, ospemifene, raloxifene, tamoxifen, toremifene, tranexamic acid. This medication may interfere with certain laboratory tests (including metyrapone test), possibly causing false test results. Make sure laboratory personnel and all your doctors know you use this drug. PRECAUTIONS: Before taking this medication, tell your doctor or pharmacist if you are allergic to it; or if you have any other allergies. This product may contain inactive ingredients, which can cause allergic reactions or other problems. Talk to your pharmacist for more details. Before using this medication, tell your doctor or pharmacist your medical history, especially of: vaginal bleeding of unknown cause, certain cancers (such as breast cancer, cancer of the uterus/ovaries), blood clots, stroke, heart disease (such as heart attack), liver disease, kidney disease, family medical history (especially breast lumps, cancer, blood clots), family or personal history of a certain swelling disorder (angioedema), blood clotting disorders (such as protein C or protein S deficiency), high blood pressure, diabetes, high cholesterol/triglyceride levels, obesity, lupus, underactive thyroid (hypothyroidism), mineral imbalance (low or high level of calcium in the blood), a certain hormone problem (hypoparathyroidism), uterus problems (such as fibroids, endometriosis), gallbladder disease, asthma, seizures, migraine headaches, a certain blood disorder (porphyria), mental/mood disorders (such as dementia, depression). Do not smoke or use tobacco. Estrogens combined with smoking further increases your risk of stroke, blood clots, high blood pressure, and heart attack, especially in women older than 35. Tell your doctor if you just had or will be having surgery, or if you will be confined to a chair or bed for a long time (such as a long plane flight). These conditions increase your risk of getting blood clots, especially if you are taking an estrogen product. You may need to stop this medication for a time or take special precautions. This medication may cause blotchy, dark areas on your face and skin (melasma). Sunlight may worsen this effect. Limit your time in the sun. Avoid tanning booths and sunlamps. Use sunscreen and wear protective clothing when outdoors. If you are nearsighted or wear contact lenses, you may develop vision problems or trouble wearing your contact lenses. Contact your eye doctor if these problems occur. Children may be more sensitive to the side effects of this drug. It may affect their growth/development. Discuss the possible effects of this medication with the doctor, and monitor your child's growth periodically. This medication must not be used during pregnancy. If you become pregnant or think you may be pregnant, tell your doctor right away. This medication passes into breast milk. It may reduce the quality and amount of breast milk produced. Consult your doctor before breast-feeding. Commonly used to treat osteoporosis prophylaxis. Commonly used to treat Menopause, Atrophic Vaginitis, hot flashes. Commonly used to treat Irregular Menstruation. Commonly used to treat Estrogen Replacement. If you need to take prescription medication such as Estrace over an extended period, buying a larger quantity could save you time and money. Many drugs, including Estrace work out cheaper per pill or dose when purchased in volume. Speak to your doctor about increasing the your prescription and you could pay less for drugs and need fewer trips to the pharmacist. Drug prices are not regulated, so the price Estrace of medication may vary significantly between your local pharmacies. Online pharmacy comparison shopping is the simplest way to quickly discover which retailer has the lowest prices for your prescriptions. Enter the name of your prescription, for example Estrace, into the search box, add the zip code and click to browse prices and coupon offers. When you have found the cheapest price, print or save the coupon and and take it in to your chosen pharmacy. Comparing prices can save you up to 75 percent on your prescriptions. Patient assistance programs offered by drug manufacturers can help you save money on your prescriptions. 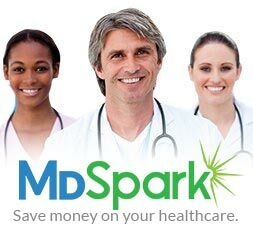 Many drug manufacturers have such a program, offering discounts to eligible patients who are prescribed Estrace. Patients prescribed expensive or branded medication may qualify for discounts through such programs. Estrace and other branded drugs often have a generic equivalent on the market at a significantly lower price. Generics account for around 8 out of 10 prescriptions filled in the US and are identical their brand name counterparts in quality, safety, strength, dosage form, route of administration, performance characteristics and intended use. Talk to your pharmacist or doctor about safe generic alternatives to your branded prescription. Seniors with Medicare Part D may be entitled to discounts on Estrace and other prescriptions through their policy. The list of drugs covered varies from plan to plan, so check your provider’s website for more information.